As value-based care models unfold, HIM professionals face new challenges and opportunities. Health care is undergoing an unprecedented era of change. The move from a fee-for-service delivery model to fee for value is impacting every corner of the continuum, including HIM. Clinical quality measure (CQM) reporting and expanding value-based initiatives are forcing health care organizations to place more emphasis on documentation improvement and the accurate capture and coding of information. These initiatives place HIM skills front and center and also increase the responsibility and pressures placed on these professionals. Consider that inpatient quality reporting (IQR) rules now require hospitals to report at least four electronic CQMs (eCQMs) for the 2016 calendar year, effectively upping the ante on compliance. Hospitals that do not successfully participate in the IQR program or do not submit the required quality data are subject to a one-fourth reduction of the market basket update. "Additional impacts on HIM professionals involve the timeline to implement the updated quality measure specifications. This timeline can be anywhere from six to nine months, and it is the responsibility of the health care organization to update the data elements captured in the EHR for reporting eCQMs through the QualityNet portal," notes Jennifer Hyatt, CPC, manager of strategic services at Stoltenberg Consulting. She says health care organizations face notable reporting challenges that could result from myriad problems, including incomplete quality or financial data, unclear or clinically unrelated documentation, poor sequencing of coded data, incorrect or incomplete coding, lack of team member knowledge related to coding and quality definitions, and conflicting documentation requirements to providers. To enable data capture and reporting success, Hyatt says organizations must shift the emphasis from measuring structure and process measures to key patient outcomes. They also should know their status on each selected measure for the baseline period and identify which measures have the best rate of return. Taking these steps requires a strong foundation of data analytics, professionals skilled in making sense of the data, and a collaborative, multidisciplinary approach to staying on top of quality initiatives. Simply put, value-based care delivery will require that HIM continues expanding its skill set to move further outside the four walls of its historically isolated department, according to Kelly Vroom, MA, RHIA, senior vice president of HIM at Anthelio Healthcare Solutions. "We used to be the source for all information for the hospital. And now with the move to value-based care, it really becomes a collaborative effort between quality, HIM, CDI [clinical documentation improvement], IT, and clinicians," she explains, pointing out that others are becoming more appreciative of HIM's knowledge base. "I think that the neat thing about HIM professionals is that they can really fulfill many roles and have historically done so. I see that as a huge opportunity, frankly, opening up yet another new space for us." Under value-based reimbursement, the stakes are raised for health care organizations. For fiscal year 2016, the Centers for Medicare & Medicaid Services (CMS) is updating the estimated payments to hospitals by 1.5% relative to estimated 2015 payments. CMS will increase 2016 payment rates by 0.9% for hospitals that successfully participate in the IQR and demonstrate meaningful use of certified EHR programs. As previously noted, hospitals that do not successfully participate in the IQR program will be penalized; additionally, payments to hospitals that have not met meaningful use requirements will be reduced by one-half of the market basket update. "For the first time, the value of the market basket update for hospitals is tied to participation in both the IQR and the EHR incentive programs," Hyatt explains, adding that in fiscal year 2018, CMS will equally weigh four domains—safety, clinical care, efficiency and cost reduction, and patient and care giver-centered experience of care/care coordination—in the value-based payment program. Failure to report the four CQMs electronically will cause a decrease to hospital reimbursement beginning in payment year 2018. According to Vroom, new requirements will require HIM leaders to update and educate key staff and stakeholders regarding the information that must be gathered and produced. "Just educating people, specifically physicians, on what they write and how much that means to the downstream is an ongoing effort," she says. "I think that is where we really find ourselves spending a lot of time going through records again and educating the folks who are using the data as well as the folks who are documenting it." Consistent clinical documentation remains a barrier to accurate analysis and reporting, Vroom notes, pointing out that even with the efficiencies created through more mature HIT infrastructures, the numbers can be misleading. "Certainly it helps because you don't have to go through and abstract the data like we used to, but until we have everybody utilizing the EHR the way we need them to, we are perhaps going to have some false negative outcomes," she says. Hyatt says the traditional siloed approach to completing work is quickly becoming a thing of the past for HIM. "Today's workforce requires professionals who are more responsive, continuously review current competencies, identify gaps and opportunities, and are open to developing more advanced skill sets," she says. "The roles of HIM and IT professionals are becoming more closely tied together, resulting in organizations redeploying their staff and moving toward a more multidisciplinary approach." Vroom agrees, adding that health care organizations achieve the best outcomes when they "have that multidisciplinary team of physicians, nurses, quality team members, HIM professionals, and clinical documentation experts collaborating to review the outcome and then back track in how the outcome came to be, what drove the outcome, and what can be done to change and educate folks on how to achieve better outcomes and provide better patient care." Progressive organizations such as UC San Diego Health already are working more collaboratively with other departments and stakeholders, according to Cassi Birnbaum, MS, RHIA, FAHIMA, CPHQ, systemwide director of HIM and revenue integrity at UC San Diego Health and the 2015 AHIMA president and board chair. "It's a very collaborative process," she points out, explaining that the goal is to apply a holistic approach to education and coding practices across the continuum. "I am over coding for the medical group (provider side) and the hospital side, collaborating with the [CDI] team and with all documentation initiatives. Provider educators are the team that sits within our revenue cycle, coding, and documentation teams." The large integrated delivery network, which achieved HIMSS stage 7 status in 2011 and has been leveraging data to manage populations for some time, features a well-established CDI program and plans to add provider educators dedicated to documentation and coding. With new CMS quality reporting requirements, Birnbaum notes that UC San Diego Health already has infused the information into its dashboard metrics as well as ongoing CDI specialist reviews. "We want to make sure that everything is accurately reported," she says. "We have a very intensive process around that." Hyatt stresses that it will take this type of clinical, quality-driven approach to effectively manage revenue cycle strategies going forward. "Organizations should develop programs designed to enhance a team-based approach to training [and that] break down cross-functional silos and barriers," she says, suggesting that many health care organizations will need to partner with a third party to help facilitate hospital-specific improvement plans that include education, documentation improvement, and workflow redesign for both concurrent and postdischarge quality reviews. "Ongoing monitoring and measurement supports long-term success, helping to ensure that coding, clinical documentation improvement, quality, and clinical teams capture improved quality measures and accurate outcomes data." Vroom says HIM professionals will need to leverage their diverse coding skill sets to understand the data. "How do you manage that information so that people get what they need out of it and really have an impact on outcomes—not just addressing processes but [also] outcomes from the data gathered? I really think that coding skillset, as well as the ability to manage the data, is a requirement at this point," she says. A strong background and expertise in hierarchical condition categories (HCCs) and risk adjustment factors are also must-have attributes for HIM professionals looking to be major players in a value-based landscape, Hyatt notes. "It's very important that facilities involved in HCC programs ensure their coders are well-informed in all aspects of the program," she says. "Another very important element of risk adjustment coding to remember is that medical record deficiencies could make an encounter invalid." Measuring outcomes is a challenging prospect for HIM, Hyatt says, pointing out that results must be clinically valid, comparable between providers, and reliable. "Different scores need to be based on variations in quality, not on bias, measurement error, or poor risk adjustment," she explains. 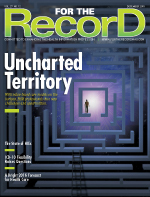 "Meeting the procedural requirements, including proper case-mix adjustment, entails more complete, precise registration and analysis of patient-level data." To establish a successful analytics initiative, Hyatt recommends organizations develop a strategic plan incorporating a three-step approach to collect, share, and use data. "Select the maximum number of electronic measures to reduce future chart abstraction efforts," she says, adding that HIM and IT collaboration is critical to these processes. "The overall key to success is monitoring your organization's data." • Select only four eCQMs. • Choose eCQMs where data and workflows are easily reported. • Choose eCQMs where chart abstracted measures are already required. • Exclude eCQMs that are topped out for 2016 or planned to be topped out for 2017. • Report fourth quarter data (this allows organizations to monitor results before submission). While acknowledging HIT's critical importance, Vroom says that technology, in and of itself, cannot be the end-all answer. "You have to combine it with a human being," she says, adding that health care organizations need professionals to examine data, identify problems and gaps, and put processes in place to correct any flaws. "Because if you run those reports out of the EHR and the doctor didn't write it in that one particular field, you may miss out in your reports. Technology is a great value to us, but you have to couple it with the human side of the house to really get good data out the door." While a multidisciplinary approach to CQM reporting is crucial for future positioning, Birnbaum notes that health care organizations must take the next step of identifying and employing physician champions as part of their strategy. "We have our physician champions dedicated in our coding and CDI effort, and we have our chief medical officer who is extremely involved in all of our initiatives," she says, while also noting the contributions of UC San Diego Health's chief medical information officer, a practicing hospitalist. Vroom believes quality reporting represents a significant opportunity for the industry—but only if the data are trustworthy. "Until we can get to a point of feeling comfortable that it's consistent and clean, I think sometimes the comparisons can be a little misleading," she explains. "But I think the other advantage is getting clinicians to appreciate the value of what they document. We all appreciate the care they render to a patient, but now it really matters to them the outcomes of this data because they know and understand what it means to them personally and how they are perceived externally." Patients will reap the benefits as systems get better and clinicians understand more about performance and change their behavior to improve outcomes, Vroom adds. Birnbaum recommends HIM professionals take advantage of the education opportunities afforded through AHIMA to heighten their skills and knowledge base. "We are infusing education into the system," she says, citing available learning opportunities such as webinars, seminars, and coding academies. "We're keeping people up to date in the risk adjustment world. It's very important for everyone to understand what's on the horizon."